How do you get quality inbound links? What would high-quality links do for your site? Improve your rankings, yield more organic visitors and refer people from other sites. Over the past years, Google has redefined the way links are built. But they didn’t bring anything new – but only moved towards building an information databank where search users can benefit from the search results. It’s always been their objective from day one. And because of the perceived difficulty, only 56% of businesses embrace external link building – the remaining 44% avoids it. It’s time to make a difference in your own site. If you want to earn inbound links, and not struggle to build it manually all the time, this post will help you. It’s more or less a step-by-step guide that will ensure you never have to hunt for high value links again. Do you want to get the attention of key influencers in your niche? All you need is a well-crafted strategy that capitalizes on their ego. In freudian psychology, ‘ego’ is that part of the mind that contains the consciousness. It’s self-esteem. Crowdsourced content: By this, you'll get other writers, A-list bloggers, site owners and social media influencers involved on your blog content. With your creativity (yes, you've it), write about someone else, their concepts, ideas or opinions in an interesting manner. Most bloggers only leverage expert interviews to persuade and earn inbound links, but it's beyond that. You can tap into this dominant resource – ‘inflated opinion of self’ to earn the right type of links every single day. When properly leveraged, 78% of A-list bloggers and content marketers whom you target will not escape it. Guaranteed! I practice what I preach. In 2012, I got the likes of Tim Ferriss, Bob Carson (Godaddy’s CEO) on this list and eventually earned an editorial link with .edu SEO juice at the University of Georgia resource page. 1). Research viral ideas: All ideas are not created equal. Some ideas will be shared, while others, which do not resonate with the target audience will suffer. In order to make your ego-bait content go viral, you’ve to study content that got thousands of social shares and natural citations. a). Information that convey positive outlook: Being negative not only devalues you, but also people around you. When you’re looking to create ego-baits that people will share, stay glued on the positive side or pleasant accomplishments of power users. If they were bankrupt, don’t share the sad story. But if they donated a huge sum to the charity, talk about it. It’d make them feel on top of the world. b). Show some emotion: The human brain is emotionally-wired. This is why you love your kids so much, and wouldn’t want anything awful to happen to your spouse. It’s emotion. c). Dazzle the audience with usefulness: Berger and research colleague found that useful content will always get the attention of the media and industry experts. Useful content with quality visual information is likely got get more social shares. But has anyone told you what “quality” content really means? Well, it’s time to ditch the idea of quality, and simply create content that is helpful, valuable, practical (can be implemented right away), interesting, and entertaining (be keen on humor). It could be a blog post, an article, a tutorial video, online course or report that is useful – that’s what you need to attract social love. Period! If you can create ego-bait content based on one of the triggers above (positive, emotion or useful), the chances of going viral and earning links are high. The best way to find ideas that have gone viral in the past is by using Buzzsumo. Go to Buzzsumo.com. On the homepage, type in the primary keyword you’d want to target when creating your ego-bait, hit the ‘Go’ button. Next, set your filter to ‘past month.’ This will ensure that you get latest content with the most shares, within the past of 30 days. The screenshot above shows blog content targeted “social media strategy” in the past 30 days that got the most shares all over the world. I highlighted two of the headlines, because I can create an attention-grabbing headline ideas from them. Note: You may notice that I used odd numbers (13, 27,…) more in my headlines. The reason is because odd numbers tend to do better. 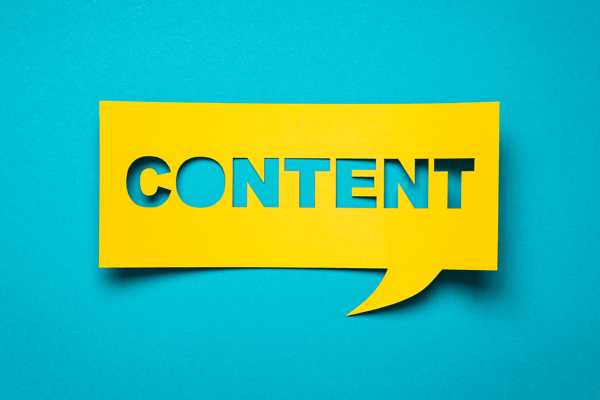 A study by Content Marketing Institute found that adding an odd number on headlines will generate 20% higher click-through rate than headlines with even numbers. 2). Monitor traffic potentials: You’ve to know the potentials of your ego-bait. You do this by studying the bloggers or influencers that you want to include on the post. Most of them have lots of social media fans, email subscribers and receive thousands of search traffic daily. So, go ahead and plug your headline into Google to see the top web pages that are ranking in Google top 10. Those are your target. If you get any of those influencers to cite your link or tweet your link to their fans, you’ll get more qualified visitors and natural links as well. but just to give you a head up that I’ve published the post we talked about. Here is the link [put the complete live URL of the post here]. If you like it, then your readers will benefit from it as well. Thanks for sharing the post in advance. I’m so grateful for your time. Alternatively, go to Twazzup.com. Plug your main keyword “social media strategy” into the search box. This simple twitter monitoring tool will show you how many experts have tweeted about ‘social media strategy’ in the past few days. Take a look at the number of followers to give you an idea on the traffic & link potentials of interviewing any of the social media influencers. Do you still recall the academic study on why content goes viral? Emotion is one of the triggers. In other words, if your content can take on the wings of emotion, people (the right audience of course) will respond, because they’re primarily driven by emotion. This is also the same psychological concept behind copy that sells. Smart copywriters know that customers buy products out of emotion, and tend to justify by logic – so from the headline down to the call-to-action and guarantee, every word, sentence image or chart is aimed at appealing to buyers emotion. So what draws people and increases their desire for your content? Words! Words are the raw materials for feeding people’s emotion. If you want more traffic, know the right words to use in your content. When you email A-list bloggers to ask for links, be careful about the words you use – use power words instead. By adding power words in your headline, you’ll build interest and create strong desire for your ego-bait content. That’s how to get more people to share it, and even ask for more. This is the secret used by Gawker Media, Upworthy, ViralNova and others to create viral content on a regular basis. 4). Attract top industry experts: The best way to attract industry experts is by creating content that has never been seen anywhere. Of course, it doesn’t have to be a new idea out of the box, but you can approach it from a unique angle. First, make sure that your headline is not found anywhere on the search result. If you find similar, rewrite it until it’s 100% unique. When searching, make sure you enclose the headline in quotes (“”). Secondly, you’ve got to find the contact address of the expert that you want to reach/interview. 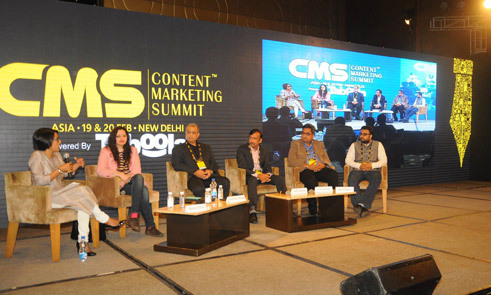 This is a major challenge when creating ego-bait content, because most of these industry experts are too busy to hang around on twitter or facebook. But they adore their inbox. If only you can get in – they’ll respond to your message. So how do you find the contact information of your preferred expert? The easy path is to check their ‘contact page.’ You may find it there, or a direction on how to cut through the noise and get in touch. So let’s assume that I want to interview Chris Brogan. First, I’ll head to his blog and check his contact page. Fortunately, Chris specified on his contact page that the best way to get in touch with him is by filling out the form. But what if the blogger or author didn’t specify their email address or the best way to contact them? Better yet, you wouldn’t want to fill the contact form all the time and your email end up getting ignored or deleted by a virtual assistant. You want to get the blog owner directly. For example, let’s say you want to interview Darren Rowse, founder of problogger.net. Here’s how to find his primary (important) email address. Fill in the person’s full name by the left box, and their domain name accordingly. Click the “green button. When pitching your idea or sending your questionnaire, remember to address the influencer by their real name. Don’t ever say, ‘hi friend or hi dear.’ They’re neither your friend or dearie. Lol! Again, don’t send the same email template to every expert. You’ve got to tweak, and customize it for each person. Guest blogging has always been an effective way to drive traffic and build links. Both beginners and experts use it. Despite Matt Cutts frowning at it once, he can’t stop it, because it makes the web go round. In fact, most of the authority sites out there like Mashable, Techcrunch, Business Insider and even wikipedia aren’t single-handedly managed. Yes, they have in-house authors who understands the value of usefulness in a piece of content, but that’s a type of guest blogging too, because the site accepts articles from different contributors. However, what you should focus on, which Google has always been calling out is practical, valuable and richer content that helps the user. The ‘advanced’ guest blogging simply means that you should take it a step further to understand the audience that you’re writing for, and the the past content they’ve made popular. Because in today’s SEO and media world, it’s the public that decides whose content becomes popular – not the owner. 1). Define your ideal audience: To get started on this ‘advanced guest blogging,’ you’ve to know your ideal audience. I’m talking about the people whom you want to attract on your blog as a result of your guest articles. Most blogs I know write about SEO, social media, blogging, conversion rate and so on. If you’re like that and you just started out – you’re doing yourself a big disservice. Social media or SEO are huge niche markets to take up a bunch of your time. Relevance is better than being clever. And to be relevant, you’ve to know what you want and what they’re interested in. Since majority of the readers are from U.S., it means that you can reference stats, and case studies that are known to the reader in your guest post. From the list of countries, there is no China or Germany. So I’ll avoid mentioning any data from those places. Got it? iii). Engagement: Now we want to know how engaged the target audience is. This is important so that when I write a guest article, I know for certain how much conversion rate I’d likely get. For example, if the time spent on site is 2 seconds, then I know how to structure my content in order to drive clicks before the readers click away. Just scroll down the page and you’ll find the engagement metrics. iv) Audience Demographics: When you scroll down the Alexa results page, you’ll find the demographics. From the screenshot below, you’ll notice that more people read articles on the site from work and school. The audience comprises of more female than male who have graduated college or degree. 2). How to pitch, and get a yes: In order to land your guest post on a trusted blog with thousands of readers, social media fans and network, all you’ve to do is upgrade one of their popular posts. How do you find their popular posts? It’s easy because most blogs have it on their sidebar. So let’s take 2 headlines from the ‘most popular’ posts above and make it ready for pitching. You simply have to write a much clickable headline, and add power words. Better yet, pick one of their recent posts and make it better. Tell the author or editor that you can elaborate on the topic, with data to back up opinions. In other words, your post will look exactly like the one you’re reading. Note: These headlines are all data-driven, and will not be denied. Listen up: I’ve been using this exact strategy for the past 3 years to craft attention-grabbing headlines that wow blog editors and influential people. You can model this email template when pitch your guest post to any editor, no matter how big the blog is – don’t be scared. I hope you’re doing great today? [paste the exact article you read on their blog]. my expectations, so I thought it’d be nice if I expand on it. studies and write a more in-depth article – 2000+ words. Here’s my headline idea [paste your headline here]. to you as soon as I can. If you want to earn quality links every single day, all you’ve to do is target company (corporate) sites. They also want to increase social proof by highlighting on their main site that their product or site was mentioned by other sites. You may just be one of them. Kenneth Ferdinand, CEO of queryletters.com recently reviewed the top 50 CRM software for small business. Once the post went live, he used one of the email templates I showed you earlier, emailed the editors or marketing experts and generated 84 quality links. You’ve lots of sub-niches in your industry to explore. You’ve software and tools that automates sales, keywords, link building, outreach and so on. The web is literally your oyster when it comes to targeting corporate sites to earn authority links. The good thing about corporate sites is they usually have high DA (domain authority) and PA (page authority). This means that your links will not only boost your web pages ranking, but will affect your overall search performance and help Google build a better knowledge bank – based on what users truly want. You know that increasing the quality of links to your site will make a whole lot of difference. To a large extent, you control the quality of links that you get. 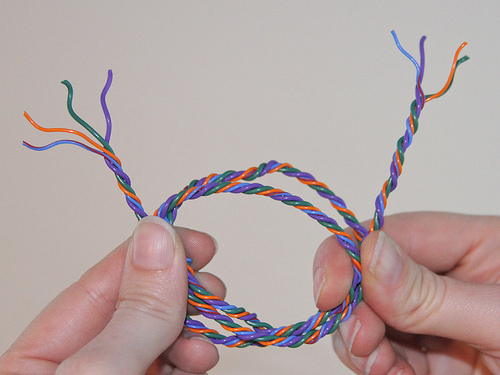 Remember that all links are not created equal – quality is always better than quantity. Go ahead, use these few link building strategies to build for the future. Because no matter what Google throws at you, if the foundation of your links are strong and juicy, you’ll sustain your rankings and traffic. What other proven ways do you scale your link building for the future? Thank for this great update, this is really helpful for new bloggers like me. 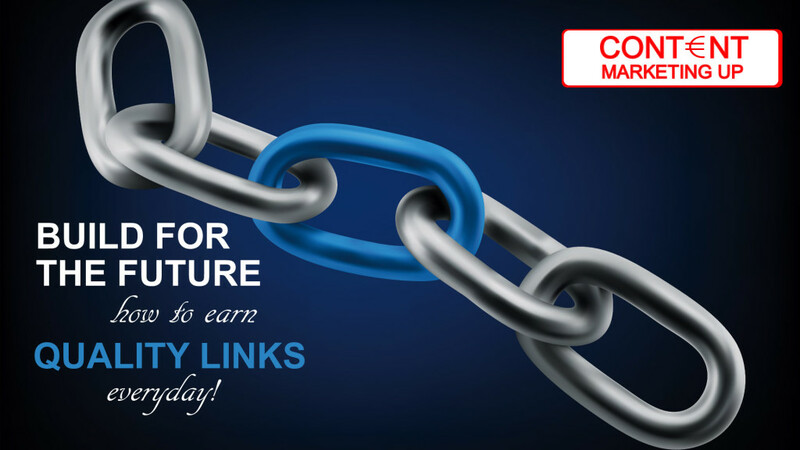 You have covered all the possible ways to get quality inbound links and that is really great. Took much time to read the whole post but no regret because I learned something important for my blogging career. So, thank once again. i really appriciate for these all information, i really love your blog and i regulary read your all tips.. thabks for everything…. Nice post thank you for sharing about important of inbound links. Comple guide.. all your post covers all aspects of the topic. Bit lengthy but still okay. BTW there is an error with your commentluv pluging i got error "Parsing JSON Requesst." Thank you so much Patel. I’ll fix the error. Thanks I can see it is fixed now.. I helped me alot in ranking my niche sites.I hope you will keep writing these kind of articles about Backlinks so that I can rank the niche sites more faster. Great article! I think many newbie bloggers try to get inbound links and end up leaving blogging because of the hardwork it needs. Here you have mentioned how easily we can get inbound links and this would help many newbie bloggers. Thanks for this article. I’m glad that you enjoyed reading the post. Thanks Rahul. What did you gain from the e-book? This really explains the process fo link Buidling. There are some really great point about link Building . I really like the point you made about creating a catchy title to attract others onto linking our page. Hi, Michael Thanks for sharing this article about link buliding SEO. Its really very informative. Hi, First of all i will like to state that this is my first visit to this blog. Right now am like i love your BLOG. Have been addicted to quicksprout and neilpatel.com come and now i have found your blog.I totally agree with all the points in this post. Keep up the good work man. You just got a new reader. Thank you blessed. Welcome to my blog and I hope you’ll subscribe to my list. Great article! Completely agree that guest blogging is still very powerful (in spite of Matt Cutt's comment). Delivering relevant content to someone else's audience is a great way to expand your own readership base and get some etra coverage. SEO benefits aside, there's huge milage in that alone. Exactly my thoughts Kameel. Guest blogging will never go away. Not anytime soon. thank you for this valuable article..
i've my own opinion, from my experience, to get backlink from other site.. Awesome post Michael! I agree with each and every point you mentioned above. Getting links through ego-baits is definitely an effective way to build quality backlinks. Interviewing a reknown personality surely catches a lot of attention, eventually bringing in some quality backlinks. Some people even have monthly round-up posts which feature different blog authors in order to grab their attention. And those ego-bait headlines you generated from the most-shared content are really kickass, I must say. Those articles are sure to catch attention. And yes, the "Audience research, Geographical location, Engagement and Demographics" points make a lot of sense, since you have to target the audience correctly. It sure was a long post, but I enjoyed it. I must admit that I have the habit to post long comments on good blogs 🙂 !! Thanks! Thank you Sumit. Exactly my point. Ego-baits and monthly roundup posts are also great ways to get quality links. I appreciate your long comment. It surely will add to the quality of this web page. Thanks and see you again. I’m glad that you’re moving forward in learning SEO. Wow, very detailed and comprehensive article. Thanks Chibuzor. I would definitely bookmark this for future reference. I guess this blog would be really helpful and inspiring too. Great share! Ohh wery very good and long post, good seo tips to increase traffic, which I will use on his blog, was unaware of some services and functions that they perform. It was such a long post. It took a while for me to read all these tips. Backlinks are the backbone of a site. Without it, a site is nothing. I realy grasped all the above tips. The main thing we need to focus is quality of the link matters not the quantity. Exactly Sanjay. Quality is the new metric that matters so much. Thanks for reading my post. Good post. So, How outgoing link? It's a helpful article for all of us. 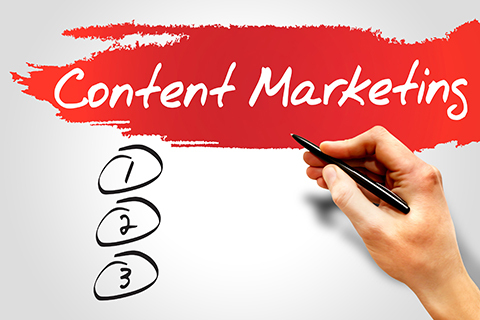 Actually I am a content writer and I am not a proffessional link builder but I am able to understand this link building article very easily because of many helpful images and decribed information. Thanks for sharing a nice and helpful article. I would love to read more articles related to link building and content marketing from this website and I will share them in my social circle as well. Thank you Kaur. I’d really appreciate it if you kindly share my post. Thanks a lot. Great post for a great start of a week Michael! Thanks for your comment. I’m glad you shared it.